Encrypt and control access to your documents, local or remote. Is there a better alternative to Prot-On? Is Prot-On really the best app in Security category? Will Prot-On work good on macOS 10.13.4? Prot-on gives you the ability to protect and track the use of any copy of your documents. Protect your files. All copies of the document will be protected with strong encryption regardless of where they are stored. 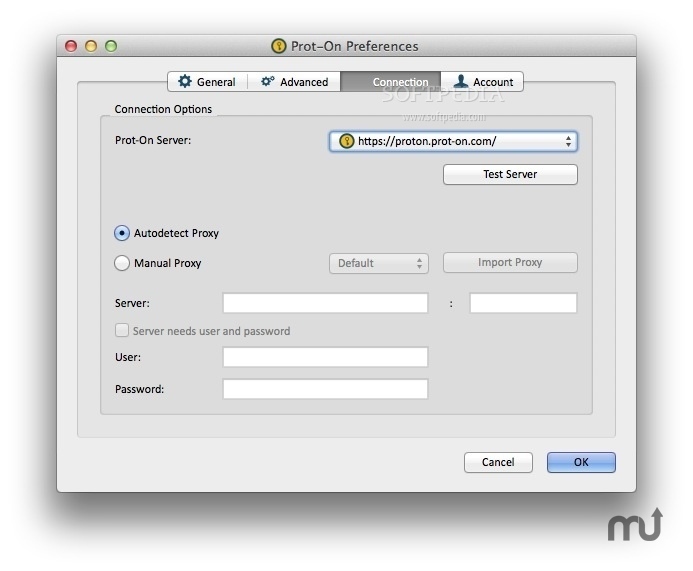 Prot-On does not store files, just the encryption keys and permissions. Control access. Every time users try to open the protected document Prot-On will check if they are authorized to do so and what type of access they have. Note: Although Finder indicates no version number for this application, the developer refers to it as version 1.6.7. Prot-On needs a review. Be the first to review this app and get the discussion started! Prot-On needs a rating. Be the first to rate this app and get the discussion started! Track document use. At any time you can check the activity log to see who has been accessing any copy of your document, and change permissions remotely even after the file have been distributed. Prot-On is free for personal use. The cost for professionals is $51.50 per year (40 €), or $1 (0,75 €) per user per month for corporate installations.